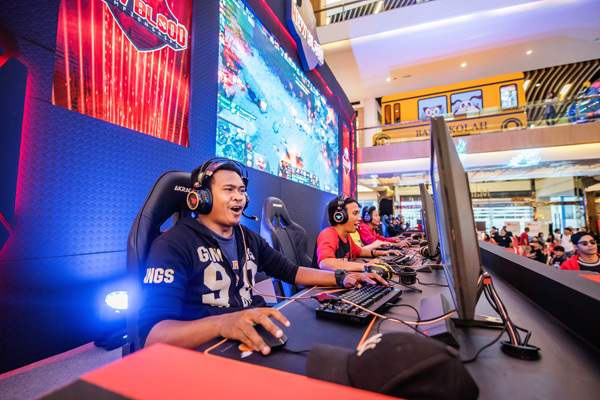 Kuala Lumpur (24 September 2017) — The New Blood Championships Malaysian region on-ground LAN qualifier was held in Atria Shopping Gallery on the 22-24th September 2017. The top amatuer teams from the online qualifiers were 818’Reverse Heaven, Anonymous, Troll Gaming, I-Zone Gaming, Multple Synonyms, Proxy Target, Bujibu, Team Koyak, Mobile Girl, Genesis Esports, Immortal Gaming, 4 Carry Elliot, Target Gaming, OP Gaming, and Meep Merp. The champion of the Malaysian region and the representative to the Grand Finale in Jakarta is fan-favorite team 818 Reverse Heaven, after a highly exciting final against Genesis Esports, which they emerged victorious 3-1. Second runner up was team Multiple Synonyms, while team Meep Merp placed as third runner up. Team 818 Reverse Heaven walked away with USD 1,000 (approx. RM 4,200), Genesis Esports won USD 600 (RM 2500), while Multiple Synonyms and Meep Merp both won USD 200 each (RM 800). 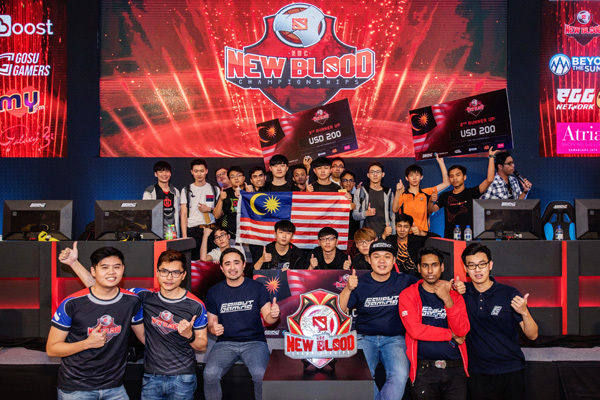 The New Blood Championships is a Southeast Asian based amateur Defence of the Ancients 2 (Dota 2) tournament that launched in 2017. A total prize pool of USD40,000 (approx. RM 167,000) and main event slots to Season 2 of Galaxy Battles will serve as the ultimate prize for the winners of this tournament. The brand and tournament itself is home grown and designed by two dominant esports companies in the region, Fallout Gaming (FG), the leading South East Asian and Malaysian premium esports marketing specialist in conjunction with Purpose Win Entertainment Limited (PWEL), a Hong Kong based esports organization. Recently completing their first partnership project together hosted on 14th – 18th June 2017 in Shen Zhen, China (Galaxy Battles, an International Premium Dota 2 tournament with a total prize pool of USD150,000 (approx. RM628,000)), both companies share a united vision to start building more platforms that shed light to the next generation of competitive esports athletes. 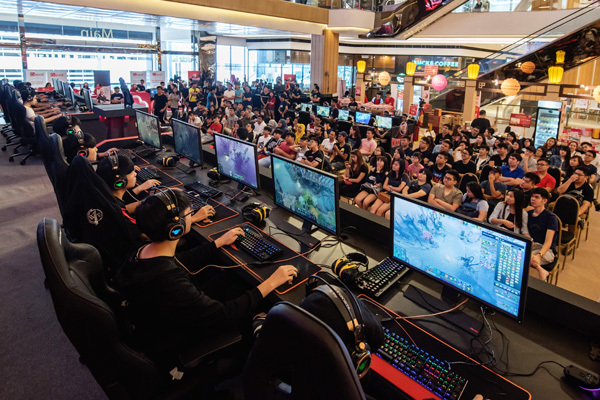 The New Blood Championships will be the first in a series of amateur gaming tournaments across South East Asia specifically targeted at providing more exposure for aspiring competitive gamers. As the tournament is at an amateur level, all competitive tier 1 teams and players will be banned from entering this championship. The tournament is divided into 3 stages – online country qualifiers, on-ground country finals and the New Blood Championships Main Event. The open country qualifiers will be held across 5 countries; Malaysia, Thailand, Vietnam, Indonesia and Philippines and 1 “Rest Of S.E.A” online qualifiers which consists of all other Southeast Asian countries. The top 16 teams from the qualifiers will proceed to the stage 2, the on-ground country finals (with exception to the “Rest Of S.E.A” qualifiers who will proceed directly to the New Blood Championships Main Event). Hosted in Jakarta Indonesia, the New Bloods Championships Main Event will feature 1 team qualifying from each country qualifier, 1 team from the Rest Of S.E.A qualifier and 2 remaining teams of which 1 will be from GamePlan’s Dota 2 amateur tournament hosted by Genysis Esports and a remaining last slot which is yet to be announced. The 1st and 2nd placings from the New Blood Championships will proceed directly to the Galaxy Battles Season 2 Main Event in Manila, Philippines on 17th – 21st January 2018. “Building platforms that allow aspiring competitive athletes to further their careers is the ultimate goal, we at Fallout Gaming have always believed in building platforms that allow amateurs to progress further. We’ve seen it with the likes of Mountain Dew’s Dew Challenge with MidOne progressing to Fnatic and then Team Secret in its first season, and vt.Faded into Fnatic in the platforms second season. This is just one example of many and we strive to continue this drive to give the community more opportunity to actualize their aspirations. Forging partnerships with PWEL helps to accelerate our vision.” concluding statement by Adrian Gaffor, Founder and Managing Director of Fallout Gaming.